US Federal Contractor Registration is reporting the release of the Asphalt contract in Florida posted to FedBizOpps (FBO) on March 11, 2015. The Asphalt Solicitation has a response date set for March 18, 2015. The United States Federal Government as of 03/11/2015 has 398 open Solicitations in Florida where they are currently seeking out properly registered government contractors. The Federal Government awarded 82,382 contracts in Florida for over 13 billion dollars in 2014 alone. 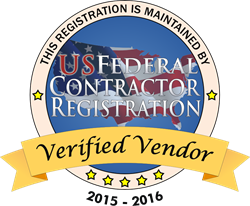 Please see the below available contract released by US Federal Contractor Registration, additional Florida contracts can be found at https://www.uscontractorregistration.com. US Federal Contractor Registration is reporting the release of the Asphalt contract in Florida posted to FedBizOpps (FBO) on March 11, 2015. The Asphalt Solicitation has a response date set for March 18, 2015. Every business interested in bidding on the Asphalt Solicitation must be properly registered in System for Award Management (SAM), as well as have the North American Industry Classification System codes 324121 - Asphalt Paving Mixture and Block Manufacturing, and 3324 - Petroleum and Coal Products Manufacturing filed in their SAM account/vendor profile. The Federal Bureau of Prisons Field Acquisition Office in Grand Prairie, Texas, intends to make a single award for the provision of Asphalt and Tack Oil to the Federal Correctional Complex located in Coleman, Florida. It is anticipated that this RFQ will result in the award of a single contract. The contract type is an indefinite delivery/requirements contract with firm-fixed unit prices. Award will be made to the responsible quoter who submits the most advantageous offer to the Government. The estimated number of tons of asphalt is 1833 and gallons of tack oil is 1000. All other qualifications and requirements will be detailed in the solicitation. The solicitation is available on March 11, 2015. All future information concerning this acquisition, including solicitation amendments, will be distributed solely through this website. Interested parties are responsible for monitoring this site to ensure you have the most up to date information about this acquisition. Hard copies of the solicitation will not be available. The website provides all downloading instructions to obtain a copy of the solicitation. The anticipated date for receipt of quotes is on or about March 18, 2015. The solicitation will be unrestricted. The North American Industrial Classification System (NAICS) code is 324121 with a size standard of 500 employees. All contractors doing business with the Federal Government must be registered in the Systems for Award Management (SAM). Faith-Based and Community Based Organizations can submit offers/bids/quotations equally with other organizations for contracts for which they are eligible. Businesses that would like to learn how to bid on available opportunities or register in SAM can call Acquisition Specialist Justin Jones at 1(877) 252-2700 Ext 757. Vendors have been enrolling in the Simplified Acquisition Program to win available government contracts, network with procurement officers across the nation, and qualify their business for government contracting. Businesses that would like to learn more about the Simplified Acquisition Program can visit http://www.simplifiedacquisitionprogram.org/.